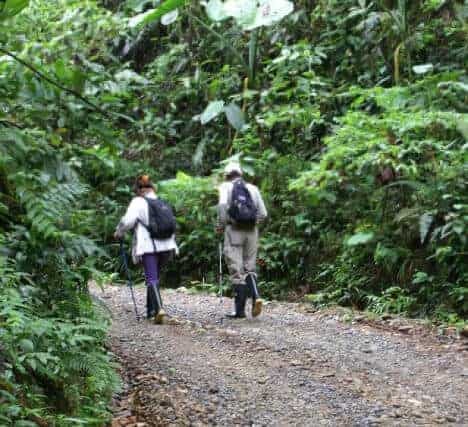 Amazon Rainforest 2019 Updated Information about visiting the Amazon Rainforest in Ecuador, from how to get there, prices, itineraries and frequently asked questions. The Amazon Rainforest is the largest tropical forest on Earth and spreads across nine countries in South America. The Amazon Rainforest covers the eastern third of Ecuador. 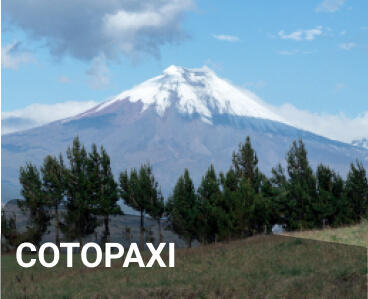 This region is also known as the Oriente. The Amazonian region makes up the largest portion of Ecuador’s land. The two main protected natural areas in Ecuador are Yasuni National Park and the Cuyabeno Wildlife Preserve. 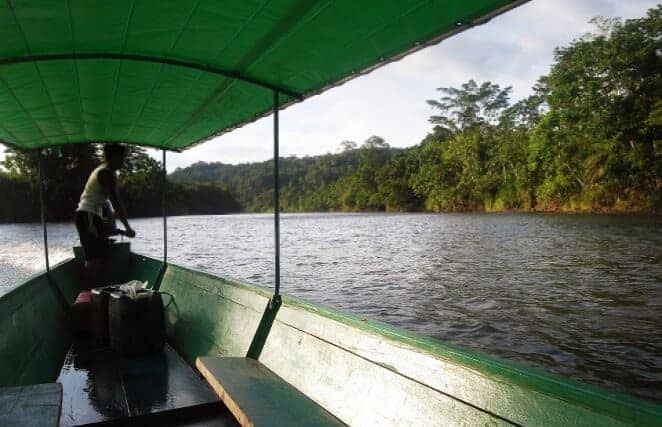 Below, we have created our extensive guide to the Amazon Rainforest in Ecuador based on our expert local knowledge and experience transporting countless people in Ecuador each year. The best way to get to the Amazon Rainforest in Ecuador is to hop off your Ecuador Hop bus in the town of Baños where you can will depart for your jungle tour. 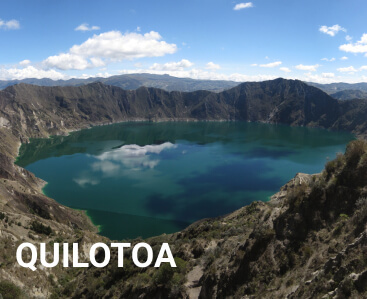 Alternatively, for tours to Yasuni National Park and deeper in the jungle, you can fly directly from Quito to Coca to save time. 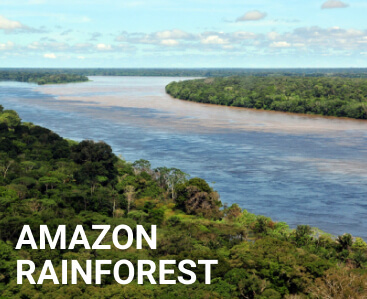 To research your options for visiting the Amazon Rainforest, visit the tour comparison website Find Local Trips where you’ll be able to check out the different tours that are available. Ecuador Hop guides can assist you with booking an Amazon Rainforest tour as well as all other tours on your trip in Ecuador. However, since space at jungle lodges can be limited, it’s definitely recommended to have your tour already reserved in advance. Visit the tour comparison website Find Local Trips to learn about your options for exploring the Amazon Rainforest in Ecuador. The name “Amazon” references the warrior women of Greek mythology and was given by the Spanish explorer Francisco de Orellana after he was attacked by a group of female warriors while sailing the length of the Amazon River. 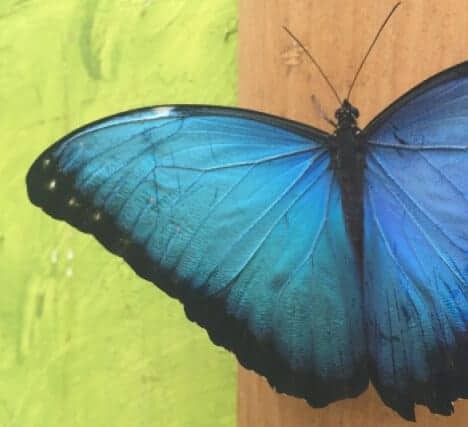 The biodiversity of the Ecuadorian Amazon is simply astounding, with over 200 species of mammal, just under 600 species of bird, 121 species of reptile, 382 species of fish, and thousands of tree and plant species. In addition to the abundant wildlife, the Ecuadorian Amazon is also home to 9 distinct native cultures. 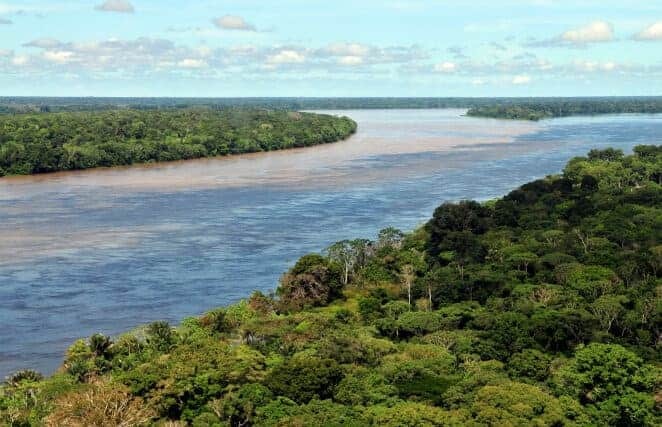 At 6,400 kilometers, the Amazon is the second longest river system in the world after the Nile. The Amazon is by far the largest river system in the world by water volume. The Amazon Rainforest actually creates its own weather, with the abundant plant life releasing enough moisture to create low-level clouds. When is the best time to visit the Amazon Rainforest in Ecuador? The weather in the Amazon is rainy and warm throughout the year. While there is a high water season from December to June, this does not prevent any visits to the area and actually provides some extra opportunities for observing plants and animals. Do I need any vaccinations to visit the Amazon Rainforest in Ecuador? Vaccinations for yellow fever are available and should be administered at least ten days before traveling to affected regions. Travelers may also want to take anti-malarial medication as a preventive measure while traveling in the area. Consult your doctor to determine what medicines and precautions you should take. We recommend purchasing travel and health insurance for all trips in South America, just to be safe in case of any unforeseen problems. There are a wide variety of jungle lodges available, from budget to luxury. While accommodations will generally be quite rustic compared to what you’d be used to in a city, you do have many different options to choose between. Contact the lodges you’re interested in visiting to find out specific details about the accommodations and amenities.